White Gold Corp. (TSX.V: WGO) (OTC – Nasdaq Intl: WHGOF) (FRA: 29W) is pleased to announce that a new shallow zone of gold mineralization has been discovered on trend with the Golden Saddle deposit at the Golden Saddle West target on its White Gold property, Yukon. The GS West target is located approximately 750m west of the Golden Saddle deposit, along a structural trend containing several other targets, including the high-grade Ryan’s Showing discovery announced September 6, 2018. Step out and infill drilling at Golden Saddle has also continued to return significant results, expanding the footprint and definition of the deposit. 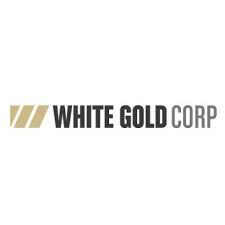 Maps to accompany this news release can be found at http://whitegoldcorp.ca/investors/exploration-highlights/. The Company is also currently drilling at its JP Ross property to follow up on the high-grade Vertigo discovery as part of its fully funded regional exploration program backed by partners Agnico Eagle Mines Limited (TSX: AEM, NYSE: AEM) and Kinross Gold Corp (TSX: K, NYSE: KGC). Additional results will be released in due course, along with further results from the additional testing performed along trend with the Golden Saddle Deposit on its White Gold property including the Ryan’s Showing discovery. WHTGS18D0194 intersected 6.90 g/t over 23.64m from 427.11m depth, within broader mineralization of 3.76 g/t Au over 66.2m from 385.2m depth and 2.32 g/t Au over 115.61m from 346.24m depth extending the GS Main Zone and high-grade core of the Golden Saddle deposit by 60m (14%) down-dip in the area. GS West: A new shallow mineralized zone open at depth and along strike was discovered 750m to the west of the Golden Saddle deposit along the structural trend, intersecting Golden Saddle style mineralization in all three holes, including 1.92 g/t Au over 24m from 117m depth WHTGS18D0184 within broader mineralization of 2.97 g/t Au over 10m from 118m depth. WHTGS18D0193 intersected 3.95 g/t Au over 68m from 210m depth, including 5.42 g/t Au over 47.3m from 225.7m depth, and 9.55 g/t Au over 11.9m from 256m depth infilling a 70m gap in the GS Main Zone and extending mineralization towards surface. This intercept represents one of the strongest and most consistent intercepts of high-grade (>5 g/t Au) mineralization to date for the Golden Saddle. WHTGS18D0191 extended the projection of the GS Main Zone approximately 200m (69%) down dip in the area, intersecting 4.87 g/t Au over 6.3m from 362m depth within broader mineralization of 1.95 g/t Au over 22.3m from 347.6m depth. The Company continues to test additional targets along trend with the Golden Saddle deposit as part of the program designed to expand the existing resource on the White Gold property, with only limited historical exploration having been performed in these areas. The GS West is located approximately 750m west from the western edge of the Golden Saddle. Drilling on the target area consisted of 3 wide spaced holes testing over 350m of strike length. The purpose of the drilling was to evaluate the area for Golden Saddle style mineralization based on a revised geologic interpretation and projection of the Golden Saddle structural system. All three holes hit Golden Saddle style alteration and mineralization with the most significant results from WHTGS18D0184. Individual assays ranged from trace to 9.7 g/t Au. WHTGS18D0184 returned 1.92 g/t Au over 24m from 117m depth, including 2.97 g/t Au over 10m from 118m depth and 8.12 g/t Au over 1.95m from 121.05m depth. The mineralization is associated with a strongly sericite altered, coarse grained, augen orthogneiss with pyrite and molybdenite filled fractures, quartz veining, and localised brecciation. The zone occurs along the projection of the GS Main structure to the west and highlights the significant potential for additional zones of near surface mineralization in close proximity to the Golden Saddle deposit. The newly discovered zone was targeted with a revised geologic modeling based on DIGHEM, IP-Resistivity and historic drilling. The holes were targeting the interpreted intercept of the GS Main structure with a favorable felsic gneiss unit that hosts the majority of the resource in the adjacent Golden Saddle deposit. The discovery highlights the potential for additional, new surface, zones of mineralization adjacent to the Golden Saddle. Detailed geological modelling is in progress and will form the basis of follow up drilling in 2019. There is not currently enough information to estimate true thickness of the mineralization on the GS West at this time. A total of 8,745m of diamond drilling over 18 holes was conducted on the Golden Saddle. The drilling included infill drilling for advanced metallurgical testing; aggressive step-out drilling down dip to assess continuity of the mineralized structures to depth and a series of holes for geologic modelling and to assess the continuity of mineralized zones within the hanging wall of the deposit. Results for the infill/metallurgical holes were previously released and include 6.89 g/t Au over 32.0m from 171m depth, including 11.08 g/t Au over 18.4m from 188m depth. Results for 10 additional holes are presented in the table below. Highlights include holes WHTGS18D0191, WHTGS18D0193 and WHTGS18D0194. Individual assays for the released results range from trace to 37.5 g/t Au and reported intercepts are estimated to range from 65 – >95% true thickness. WHTGS18D0194 returned 2.32 g/t Au over 115.61m from 346.24m depth, including 3.76 g/t Au over 66.23m from 385.23m depth, including 6.90 g/t over 23.64m from 427.11m depth, including 14.21 g/t Au over 10.55m of from 440.2m depth. The hole was drilled from the same site as holes 189/190/191, but at an azimuth 80o and -68o dip, and was targeting the down-dip intersection of the GS Main and a cross-cutting thrust fault that hosts lenses of ultramafic rocks (serpentinite) within the core of the Golden Saddle. This intersection appears to be a significant control on high-grade (>3 g/t Au) mineralization within the deposit, and the intercept extended the GS Main, and high-grade core of the deposit, an additional 60m down-dip in the area. WHTGS18D0193 is located 360m east of WHTGS18D0194 and was drilled at an azimuth of 225o and -50o dip. The hole was designed to drill across host lithologies in the Golden Saddle, which are oblique to mineralization, for geologic modelling purposes. Additionally, the hole would test for mineralization associated with lithologic contacts in the hanging wall of the deposit and infill the GS Main at depth. The hole returned 3.95 g/t Au over 68m from 210m depth, including 5.42 g/t Au over 47.3m from 225.7m depth and 9.55 g/t Au over 11.9m from 256m depth. The intercept corresponds to the GS Main infilling a 70m gap between holes WD-070 and WHTGS17D0170. WHTGS18D0191 is located on the NW portion of the Golden Saddle and was drilled to assess the down dip potential of the GS Main Zone. The hole was drilled at a 160o azimuth and -85o dip and returned 1.95 g/t Au over 22.27m from 347.63m depth, including 4.87 g/t Au over 6.33m from 362m depth. The intercept extends the projection of the GS Main approximately 200m down dip from historic hole WD-053. Two additional holes were drilled on the same section as WHTGS18D0191, WHTGS18D0189 and 190, at dips of -65o and -75o; respectively. WHTGS18D0189 is a 75m step-out to WD-053 and returned 0.32 g/t Au over 14.6m from 227m depth. While WHTGS18D0189 and WHTGS18D0190 are lower in grade due to the intersection of less favorable schistose lithology, they confirmed the extension of the GS Main structure. WHTGS18D0190 is a 55m step-out to hole 189 and returned 3.07 g/t Au over 7.65m from 309.35m depth, including 5.1 g/t Au over 3.75m from 312.25m depth. WHTGS18D0191, detailed above, was a further 70m step-out to hole 190. Together the GS Main has been traced from surface to 490m down-dip, and is open at depth, in this area of the deposit. The Company owns a portfolio of 21,218 quartz claims across 34 properties covering over 423,000 hectares representing over 40% of the Yukon’s White Gold District. The Company’s flagship White Gold property has a mineral resource of 960,970 ounces Indicated at 2.43 g/t gold and 282,490 ounces Inferred at 1.70 g/t gold as set forth in the technical report entitled “Independent Technical Report for the White Gold Project, Dawson Range, Yukon, Canada”, dated March 5, 2018, filed under the Company’s profile on SEDAR. Mineralization on the Golden Saddle and Arc is also known to extend beyond the limits of the current resource estimate. Regional exploration work has also produced several other prospective targets on the Company’s claim packages which border sizable gold discoveries including the Coffee project owned by Goldcorp Inc. (TSX: G, NYSE:GG) with a M&I gold resource(1) of 4.1M oz and Western Copper and Gold Corporation’s Casino project which has P&P gold reserves(1) of 8.9M oz Au and 4.5B lb Cu. The Company has outlined an aggressive exploration plan backed by partners Agnico Eagle Mines Limited (TSX: AEM, NYSE: AEM) and Kinross Gold Corp (TSX: K, NYSE: KGC). For more information visit www.whitegoldcorp.ca. The analytical work for the 2018 program has been performed by Bureau Veritas Commodities Canada Ltd., an internationally recognized analytical services provider, at its Vancouver, British Columbia laboratory. Sample preparation was carried out at its Whitehorse, Yukon facility. All GT Probe, RAB, RC, and diamond core samples were prepared using procedure PRP70-250 (crush, split and pulverize 250 g to 200 mesh) and analyzed by method FA430 (30g fire assay with AAS finish) and AQ200 (0.5g, aqua regia digestion and ICP-MS analysis). Samples containing >10g/t Au were reanalyzed using method FA530 (30g Fire Assay with gravimetric finish). Metallic-screen analysis may also be utilized if coarse gold mineralization is encountered (FS600). The work was completed using industry standard procedures, including a quality assurance/quality control program consisting of the regular insertion of certified standards and blanks into the sample stream. The qualified person detected no significant QA/QC issues during review of the data. Jodie Gibson, P.Geo. and Vice President of Exploration for the Company is a “qualified person” as defined under National Instrument 43-101 and has reviewed and approved the content of this news release.